Audi Prologue Allroad will make public debut next week in Shanghai. At the Shanghai Motor Show next week, Audi will be unveiling the third model in its series of Prologue concepts in the shape of a 724-hp plug-in gasoline-electric hybrid-powered Allroad variant. 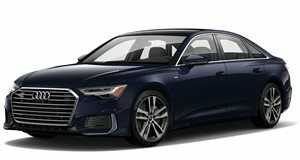 The coupe debuted in LA, the five-door Avant version was unveiled in Geneva, and the high-riding wagon Allroad continues to showcase what the four rings has in store in regards its future design language. 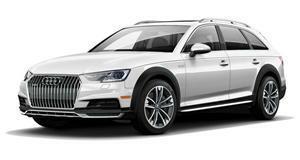 The Prologue Allroad also gives a taste of what the next-gen A6 Allroad will look like. Essentially, the Allroad is the Avant but with 77 mm more ground clearance, more aggressive bumpers, aluminum roof rails, flared wheel arches and new side sills. The Allroad’s interior looks almost identical to the Avant’s, with blue and brown leather upholstery, dark ash veneer trim, and the horizontal touchscreen strip that stretches along the dashboard accessible by both driver and front passenger. The hybrid drivetrain, which is still under development, utilizes a 4.0-liter twin-turbo V8 gasoline engine that’s been developed with Porsche and is set to be used by both carmakers as well as sister company Bentley. Combined with a brushless electric motor that sits in the eight-speed automatic transmission, output is rated at 724 hp and 664 lb-ft of torque. Audi says this will enable the concept to sprint to 62 mph in just 3.5 seconds, while delivering economy of 98 mpg and an electric range of 33.6 miles. The 14.1 kWh lithium-ion battery powering the electric motor is mounted in the boot, and can be charged inductively via wireless charging tech.